This powerful chain hoist lifts your load easy and safe! The self -locking device allows adjustment and help to safeguard against accidental free wheeling ! The chain hoist includes an automatic load handling brake to hold loads in any position. 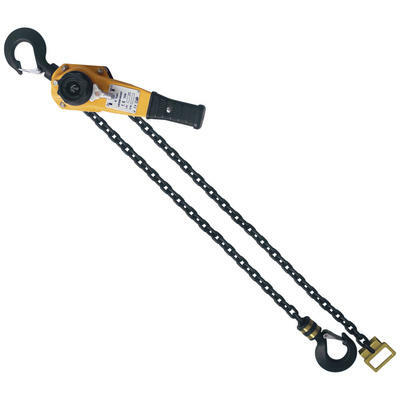 Reliable and inexpensive this chain puller works reliably for lifting heavy loads in a warehouse or for horizontal pulling heavy loads in the field where space is limited. The top and bottom alloy hooks with safety latch rotate 360° for convenient one-hand operation. All steel construction provides durability and protection. This product was added to our catalog on Wednesday 08 November, 2017.